So I felt like being a bit experimental with my hair since summer is approaching. 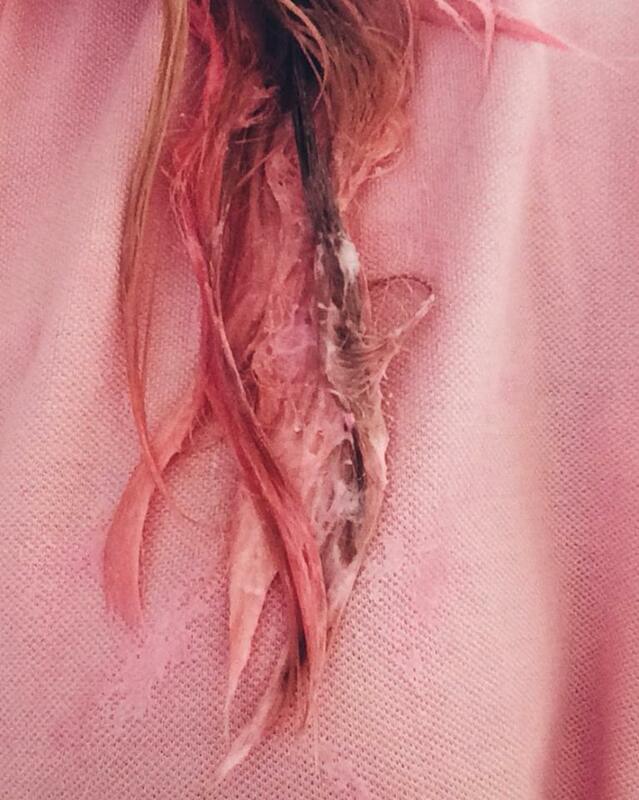 I’ve heard a lot about Bleach London and their non-permanent hair dye. I was going to try out Bumble&Bumble hair chalk spray but I thought if I was going to do it, I might as well do it properly! There are so many shades to choose from, I ended up opting for the ‘Rose’ shade, which is a beautiful light pink. 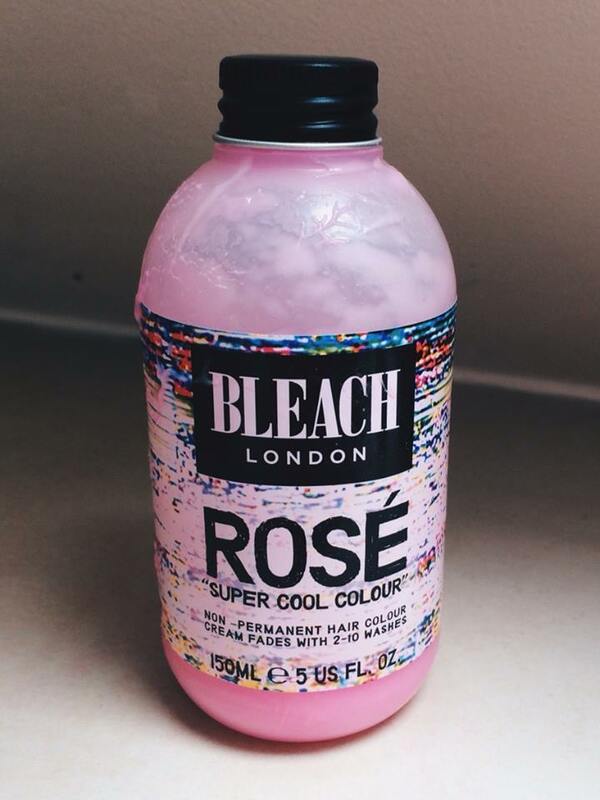 You can get these online on their website (http://shop.bleachlondon.co.uk/collections/super-cool-colours) or at Boots. It’s so easy to do, you just simply shampoo your hair, towel dry it and then apply. 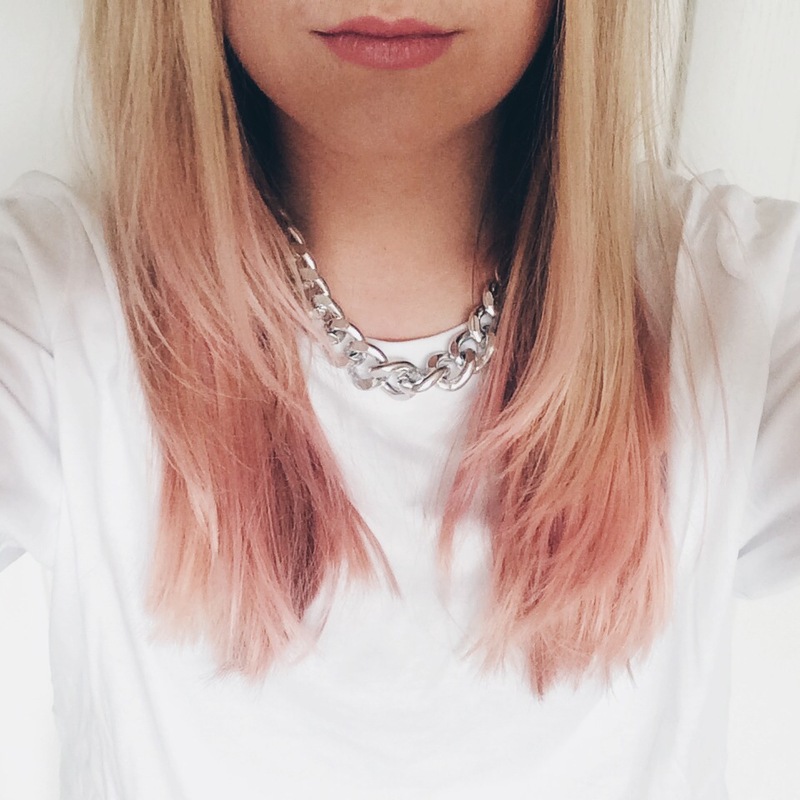 Since I only wanted to create a dip dye affect, I just applied it to my ends. Leave it on for 15 minutes and wash out. They didn’t say anything about conditioning, but I did it anyway or else my hair will be a knotted mess! 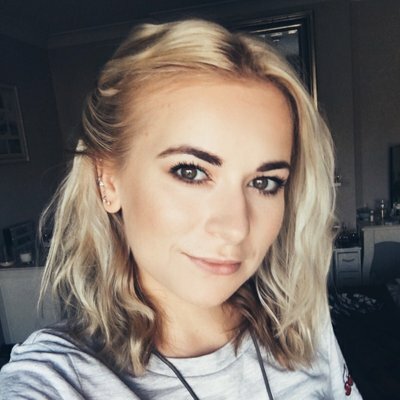 The colour worked well on my hair, but I have light blonde hair, so I can image it would be harder to have the intensity of colour on darker hair. I am so happy with the results!! A lot more than I thought I was going to be!! I’m so glad I took the plunge and dyed my hair. I also like the turn out of Bleach’s dye, it’s not too in-your-face bright, it’s just the perfect shade. I would highly recommend them as it’s so quick and easy! I’m not sure how long it will last, it says 2-10 washes, so we’ll have to wait and see, but I’m hoping it will last the latter!! I am without a doubt repurchasing this! For £5 I think it’s a pretty damn good deal!!! I also only used half the bottle so when this washes out I’ll use up the rest of the remaining product. I think next time I’ll leave it in for another 5-10 minutes just to increase the length of stay. I hope you like it as much as I do!! Next > Happy Birthday blog! This Summer’s Hot Topic – Urban Decay NAKED HEAT Palette….Worth the hype? Max Factor Creme Bronzer & Creme Puff Blush. High Street Dupes for Hourglass Best Sellers? Bob Bob Ricard – Soho, London. The Place to Press for Champagne. Laura Mercier – Face Illuminator. This is BEAUTIFUL!